As you age, you increasingly are at risk for developing eye problems, particularly glaucoma and a detached retina. Glaucoma is a disease that results from too much pressure inside the eye. 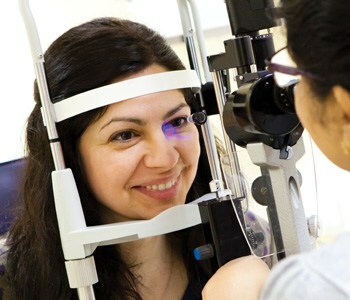 Your doctor should be checking the pressure in your eyes on a regular basis. Symptoms can include pain in the eye or blurred or decreasing vision. Glaucoma can be treated if caught early, but left untreated, it can cause blindness. When your retina, the part of your eye that processes light, pulls away from the tissue that surrounds it, you are experiencing a detached retina. It does not hurt, but can cause lack of peripheral vision, “floaters” and flashes of light. A detached retina should be treated immediately, or the condition may cause vision loss.